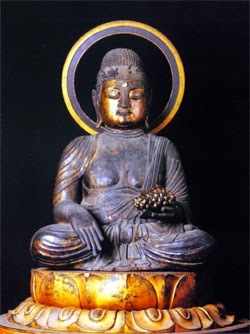 This is a special statue of the Buddha of Medicine and Healiny, Yakushi, in the winegrowing province of Yamanashi. Katsunuma Town 勝沼. 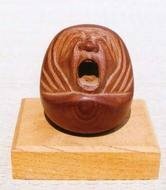 During the Nara period, the famous priest Gyoki visited the area and had a special dream about this deity one night. 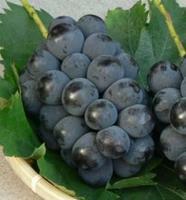 Yakushi was holding a bunch of grapes in his right hand, and in the other his usual medicine bottle. When he woke up, he started to carve a statue as he had visioned it in his dream, founded the temple Daizen-Ji 大善寺 and began to venerate the statue there. It is the only statue of Yakushi with grapes in Japan. In olden times, wine was one of the precious medicines of the day. I saw this statue on TV, the bunch of grapes was really big and blue in the right hand of this deity. kooryuu 甲龍 Koryu "Dragon from Koshu"
One of the oldest types of grapes from Koshu province. There is also the oldest grape tree in the region, looking itself like a dragon. Daizenji Temple 大善寺 in Yamanashi prefecture possesses a one-of-a-kind seated image of Yakushi holding grapes in his left hand. Yamanashi is a grape-growing, winemaking region, and Budō Yakushi ブドウ薬師 (Grape Yakushi) is befittingly the protective deity of local grape farmers. 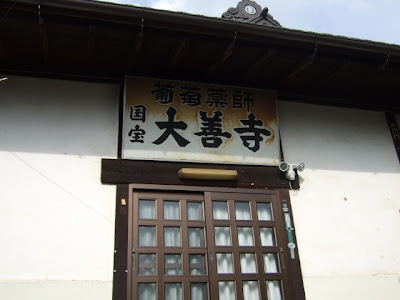 Daizenji’s Yakushi Hall is a designated national treasure (dated to 1286). 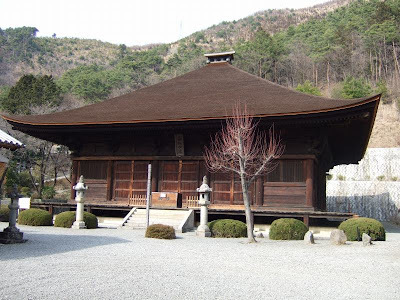 The temple claims its Budō Yakushi icon dates from the Heian era. 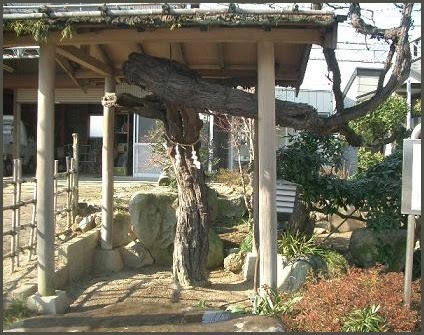 For reasons unknown (to me), Yui Suzuki does not mention this temple or this statue in her book, but she does make passing note (p. 42) of an intertwined grapevine motif on the mandorla of the ninth-century Yakushi statue at Shōjōji Temple (Fukushima) – a motif she says is also found on the eight-century pedestal of the famous bronze Yakushi statue at Yakushiji Temple in Nara.